New Haircut by Centro | escaped. "Why don't you ever cut your hair?" So being the #obedientwife, of course I had to give in. Had to agree though; my hair was getting too long and being pregnant, it was too much hassle and high maintenance - for the first time, I longed for shorter do. So paid Centro a visit, where I got my Kerastase shampoo last time. Had my husband with me, and it was my first time having my hair cut with him by my side - eyes, of course, glued to the GQ magazine the salon provided. My hair stylist, Wayne greeted us and asked for the type of haircut I was eyeing. "A bob, please, but not too short"
"Okay, but a short bob suits you. We'll try first and see okay?" Throughout the whole ordeal, I tried to keep my eyes open, trying to register and imagine this new shorter do I'm about to have. The last time I cut my hair this short was back in Form 2, when it was all the hype and I regretted it since. I nodded. Then he chopped the whole thing off. About an hour later, I was done. It was surprisingly liberating - definitely the shortest I've had in years, and the husband smiled of approval, yay. "Now, can you dye your hair back to black?" T.T I had a feeling that's the reason - he wanted me to trim the dyed hair off pfft. Asked Wayne if I could have side bangs (Nicole Richie-influenced of course) but he disapproved, saying a longer one would compliment my face shape the most. He reminded me of the hairstylist at a saloon I used to go back in Japan - straightforward, honest and a quiet but professional one. Made me miss Japan so much! Brought home a new Kerastase from their Cristal Liste line too. It smells the same as Bain Miroir which is a plus, cause I've loved its smell for years. "Oh now I remember! 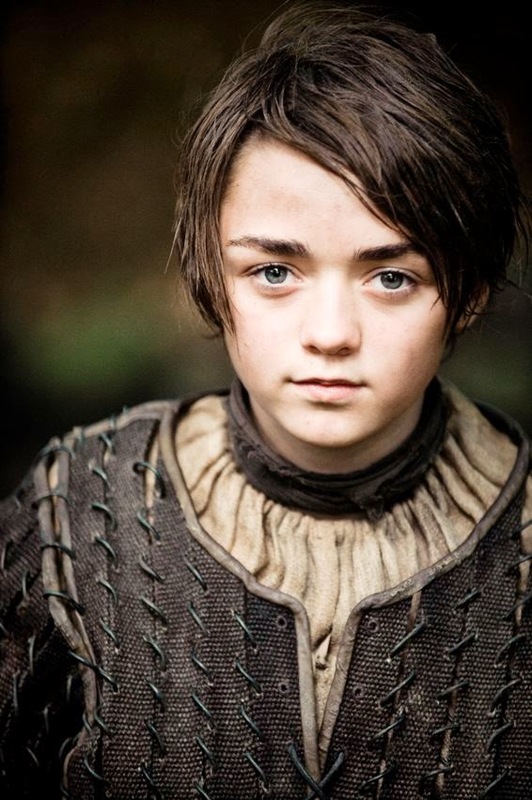 You look like Arya Stark!"